Q. I am looking for a specific video. NOVA Libraries provide access to videos in both physical and streaming formats. 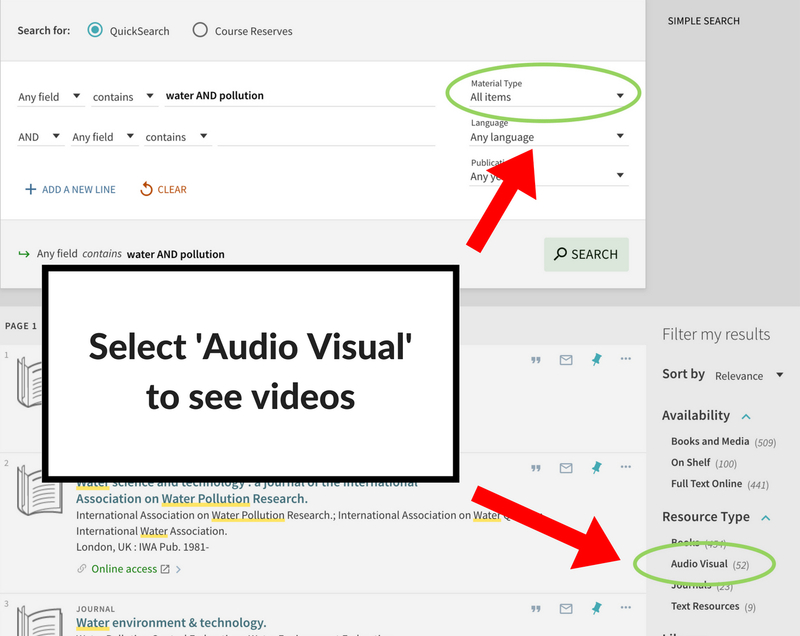 You can search for videos in several ways by going to www.nvcc.edu/library > Audio & Visual. If you know which database contains the video you're looking for, select and do a search within the database for your video. Otherwise, you can search the library's catalog for both physical (DVD, Blu-Ray, VHS) and online videos. If you know part or all of the title, enclose the title within quotes to find it. E.g., "Lord of the Rings"
Take advantage of the advanced search and browse feature available in most databases. You can use these features to locate videos if the simple search isn't working.